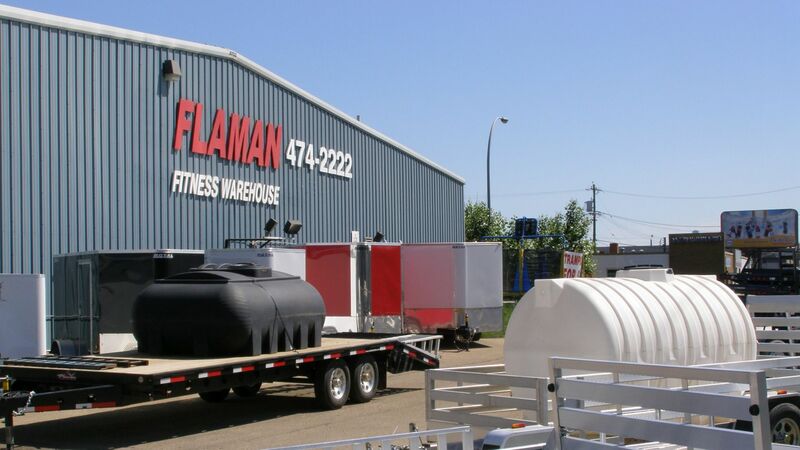 The Edmonton North location on the Yellowhead Trail is a full line trailer dealer as well as an extremely diverse rental dealership. We carry the entire trailer lineup including flat deck trailers in lowboy and highboy configurations, enclosed cargo trailers, dump trailers, utility trailers, AirTow Level Load trailers, Ag transport trailers (including combine and sprayer), snowmobile trailers, specialty trailers and much more. We offer many of these trailers for rent. Our Edmonton store also carries our full line up of fitness equipment, such as treadmills, exercise bikes and strength equipment. Our staff is very knowledge in all the products we carry, and will be happy to help you find what you need. Stop by and visit us today!